If you're just starting to learn about GMOs, you might not know quite where to begin. These links provide an introduction to the issues, players and politics of the GMO controversy. Once you're a little more familiar with the issues, you can search the site or visit the yearly archives to find additional information. Please note that this site is no longer being updated but will be kept online as an historical resource. And also note that Say No To GMOs! is no longer doing media outreach or interviews. GM Food: A Guide for the Confused - Clear answers to common questions about GMOs. Why GM Free? 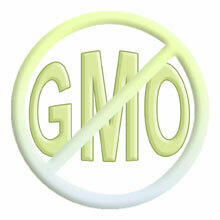 - All the reasons you need to Say No To GMOs! Who's Afraid of GMOs? Me! - A thoughtful rebuttal to the 'GMOs will feed the world' argument and more. The Myths Of Agricultural Biotechnology - Exposing the flawed premises of biotech in agriculture. Confronting Contamination - The only way to stop GMO contamination is to stop growing GMOs. GMO Myths and Truths - Scientists speak out to counter industry myths about GMOs. Ban GMOs Now - The Institute of Science in Society's (ISIS) summary of the health and environmental hazards of GMOs. GMO Science - A list of over 1200 studies, surveys, and analyses that suggest adverse impacts of genetically engineered crops, foods and related pesticides. No scientific consensus on GMO safety - A statement and signatories from ENSSER. State-of-the-Science on the Health Risks of GM Foods (pdf-933kb) - Well-referenced summary of current research. Scrambling and Gambling with the Genome - The process of genetic engineering is neither predictable nor reliable. Can you say 'Russian roulette'?. Unraveling the DNA Myth - The basic assumptions of genetic engineering are debunked by Dr. Barry Commoner. Risks of GM Food - Professor David Schubert of the Salk Institute offers insight and words of caution. A Deadly Epidemic and the Attempt to Hide its Link to Genetic Engineering - How this happened and why it didn't make the news. The Virus Hazard - Genetically engineering crops using genetic material from viruses has serious implications that are dismissed by industry and regulatory agencies. See Scientists Speak and Scientific Studies for more information on the safety of GMOs. Flaws in the FDA's Policy on GMOs - Analysis of a 1998 lawsuit that exposed and challenged the FDA's policy on GMOs. How It Happened That We Don't Regulate Biotech - In the '70s when gene splicing was in its infancy, a questionable study was used in its defense. Are GMOs Being Regulated or Not? - How and why regulatory oversight of agricultural biotechnology is failing to protect the public interest. Should Genetically Modified Foods Be Labeled? - Comprehensive discussion of the FDA's twisted GMO labeling rationale by Craig Holderge. Sensible Regulations For GE Food Crops - Read this if you think that GMOs are being adequately regulated and tested. Investigate more about Regulatory issues. Genetically Engineered Foods Pose Higher Risk for Children - Why children are at risk from the effects of genetically engineered food. "Agriscience Bus" Takes Teachers For a Ride - How industry enlists teachers to influence future generations' acceptance of GMOs. Corporate ties to academia also influence curriculum and research. Monsanto: A Profile of Corporate Arrogance - Monsanto currently dominates the GMO seed market. Want to know more about their history and MO? Corporate Serfdom Official - Corporate ownership of life-forms is very profitable and a way to dominate and control the food chain. US States Passing Laws to Block Local GMO-free Ordinances - Democracy and grassroots action face challenges from corporate money and influence. Biohazards: The Next Generation - Crop plants are now being genetically engineered to manufacture industrial and pharmaceutical proteins. Have you lost your appetite yet? Fear of Pharming - Growing drugs in food crops is a bad idea, period, but the industry keeps pushing forward. Nanofood - Do we really need another untested technology polluting our food, environment and bodies. In addition to pharm crops and trees, other GMOs in development include genetically engineered animals, fish, insects and even humans. Genetically Engineered Trees - Genetic engineering may do as much damage to forests and wildlife habitat as chain saws and sprawl. Why Is Release Of Transgenic Crops Into The Environment A Risk? - What are GMOs doing to our environment? The Future of Food tells the whole story - history, science, players and politics of GMOs. A must see film! Genetic Roulette thoroughly documents the health risks of genetically engineered foods. Seeds of Deception exposes industry and government lies about the safety of the genetically engineered foods you're eating. The Silent Forest sounds the alarm about the dangers of genetically engineered trees.